We offer a wide array of excellent quality heavy duty plate bending machine. Boiler Tank , Air Conditioning Channels, Sheet Metal Cover. Cone Making & other Aluminum & Steel Fabrication, Marine & Ship Building, Pressure Vassals, Wind Mills. Based on latest technology, we offer a range of Plate Bending Machines that offers high working capacity. 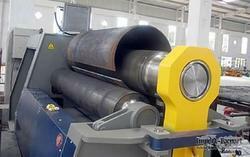 These are used for roll bending of metal plates in a number of industries. Fitted with premium spare parts, this machine executes the bending work with thorough uniformity across the length and breadth of the plate. 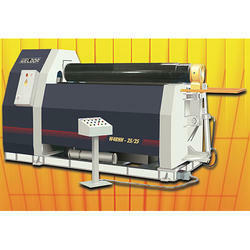 Keeping the goal of customer’s satisfaction in mind, we are engaged in presenting Plate Bending Machine. This machine is widely appreciated in market for its sturdy construction, hassle free performance and longer service life. Our Plate Bending Machine is used in air conditioning channels, pressure vessels, boiler tanks and ship building etc. We offer other products like Plate Bending Device.